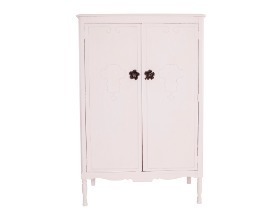 I love to paint furniture but, I’m kind of lazy, so it has to be easy. 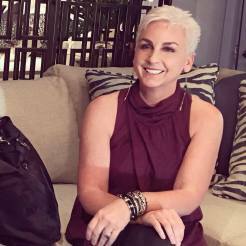 And all of it has to be fast, because I have an incredibly short attention span, and since I’m really picky, I created my own paint line – Velvet Finishes. You will love it, it’s so easy that even I can paint with it! If you’re a visual learner (like me) you’re in luck – here’s the ultimate video on The Basics of Painting with Velvet Finishes!! 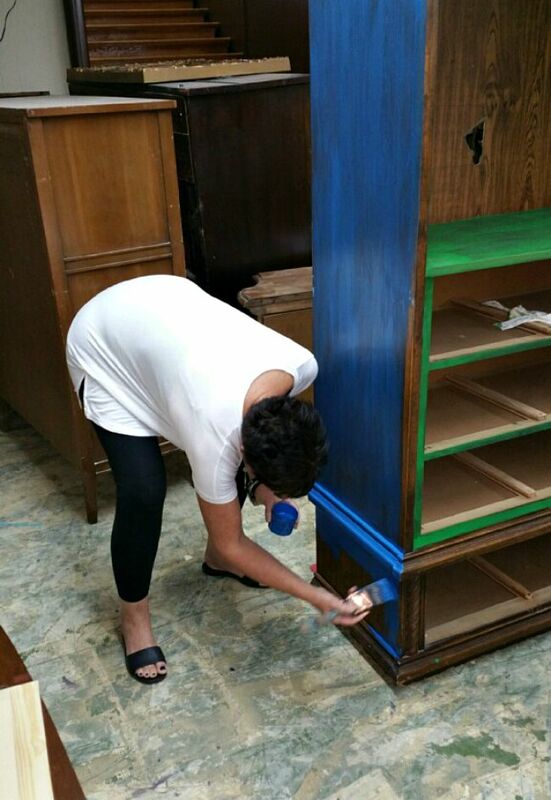 Click below to watch me in action painting this awesome dresser with Velvet Finishes. Oh, and stick around to watch the bloopers. 🙂 All I’m saying is there may be a horses head, nutella, and cursing – lot’s of cursing – but we bleeped it out, no worries! 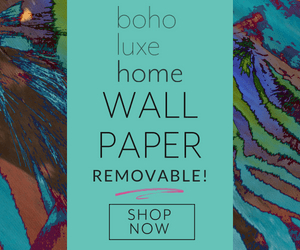 Step 1: Prepare your Surface with Velvet Finishes READY. 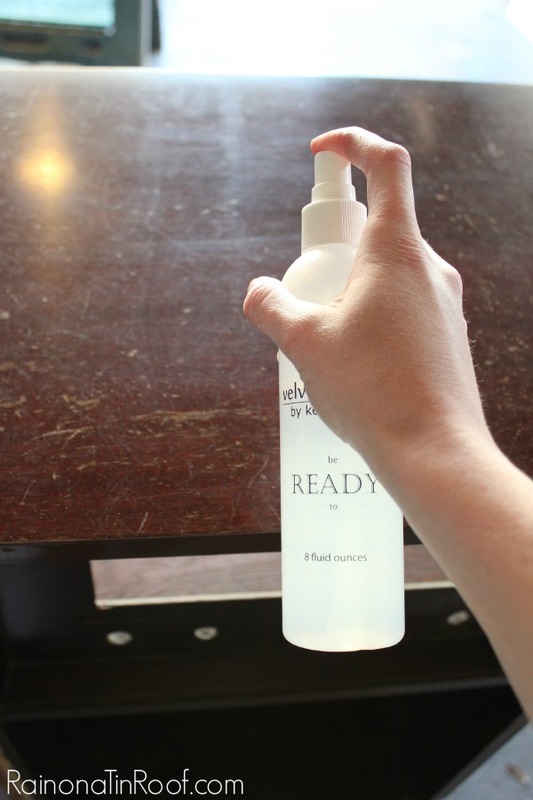 Spray the READY product on your furniture to clean and prepare the surface for painting. Let it sit for a couple of minutes, then wipe away. If there is any sheen left to your piece, repeat the process. Paint needs a clean surface for maximum adhesion. If you keep your fingernails painted – be sure to wear gloves when using READY. Because of it’s de-glossing property, it will remove the pretty shine from your manicure! You can read more about our READY product, here. Step 2: Have your Velvet Finishes Reviver paint brush clean and ready to paint. 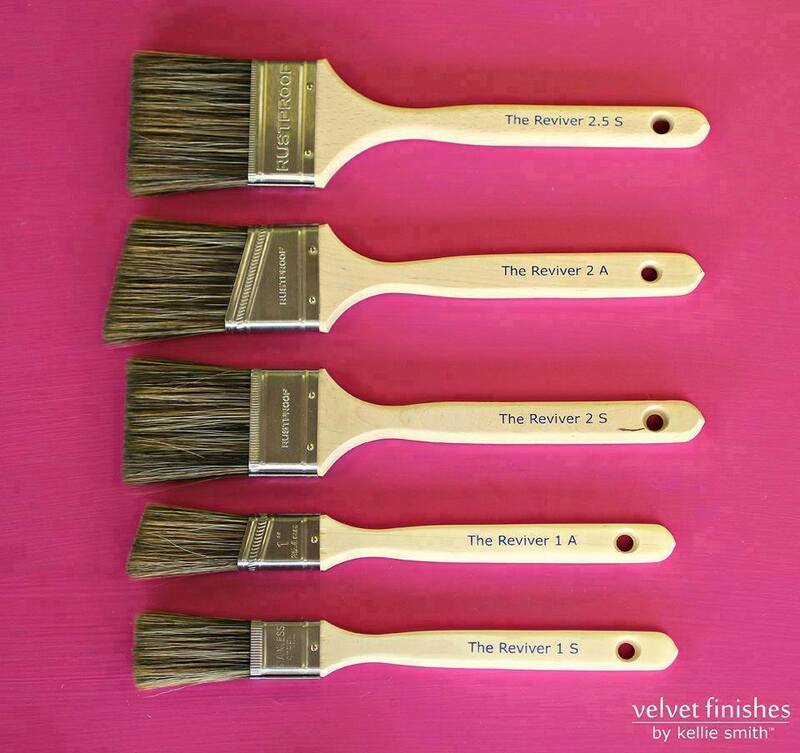 Our POLYESTER BRISTLE BRUSHES, are perfectly named – THE REVIVER! 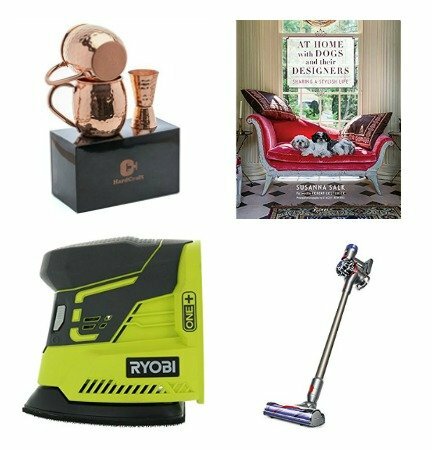 They are fabulous for painting all VF products. The bristles are just the right amount of stiff. Natural hair bristles become overly saturated in water based paints and become heavy and ‘floppy’. The longer the bristle, the ‘floppier’ they become. And nobody likes a floppy bristle. I recommend reading more water softener reviews to get the best watering system at your house. And even better? 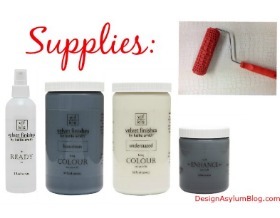 Our brushes can be used for either VF COLOUR paint or our ENHANCE products! No need for multiple types of brushes!! Wet paint brushes may be stored for later use. 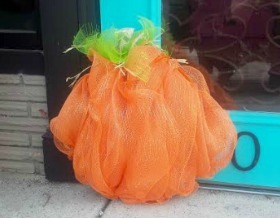 Place brush end in a storage baggy, mush the bristles in the bag and store in a cool place. Use within a few days or rinse paint out of brush. If you can, hang your brush upside down for drying, do. If not, absorb the excess water with a towel or rag and prop the brush on something so that the bristles are not touching anything. After your brush is dry, store it in the bristle cover that came with the brush. This will help keep the bristles in the best shape possible and extend the life of the brush. Good brushes aren’t cheap, but they will last for years if they are taken care of well. Step 3: With your Velvet Finishes colour of choice – slap the paint on your piece, literally. First, shake well – even though our specially formulated paint does not appear to separate, shake the product well prior to use. Stir if necessary. The beauty of VF paint is the randomness in which you can paint. Brush strokes disappear so the direction of your application becomes less important. Slap. It. On. Always allow COLOUR to dry thoroughly in-between each coat. Drying times will depend on air humidity. We recommend to never apply more than three coats in a 24 hour period. Brush strokes are complete BS! You do not have to worry about that with Velvet Finishes. I promise, you really can just slap on the paint! To speed up your drying time, use a fan! Due to the deep saturation of the COLOUR product, you may find some of the paints are thick. This can especially happen with the darker greens or blues. If this is so, thin by gradually adding water until you reach your desired thickness. There is no specific ratio, simply thin the paint until you are happy with the thickness. We strive for a two coat finish. However, sometimes, it may take more coats than that. Dramatic color changes (going from very dark to very light or light pieces going dark) make take up to 4 coats. Distressing is easy but there is a bit of an art to it. The 2 biggest challenges I see people face is (1) they do not know where, on their piece, to distress and (2) that it scares them to sand on a perfectly good paint job!Do not be afraid – it’s only paint. If you hate it, repaint it! To create a natural worn look, only distress where the natural wear would be – the handles of an arm chair, the edges of drawers, behinds drawer/cabinet pull – places like that. If you really want a distressed look, distress more, but still only distress in natural wear areas. And please, please, please avoid what I call the ‘leopard look by distressing’. 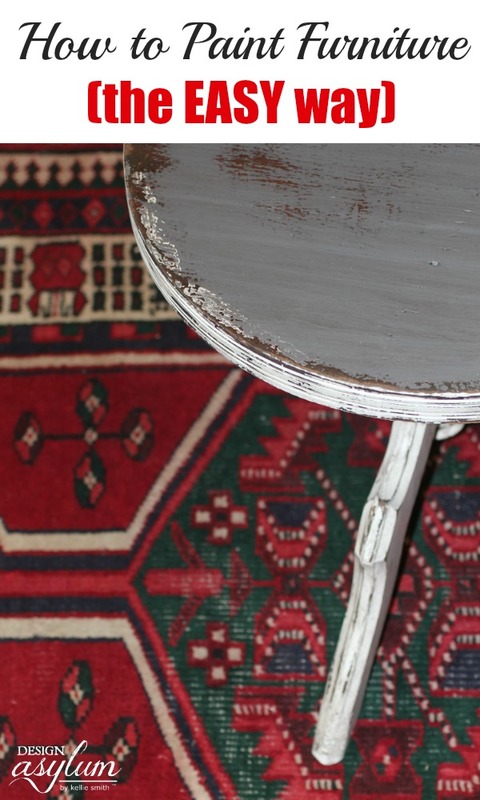 If you are distressing the flat surface of a table, do the edges. If you want more, do fewer, larger areas, rather than a ton of little spots. I. Beg. Of. You. Click below to watch me in action with an electric sander…super easy with Velvet Finishes, and also make sure to contact Tradie Electrical Sydney if you have any questions or visit this website for more ino!! Another, and probably my favorite way to distress furniture, is by using the wet distressing technique. Apply ENHANCE GLAZE with a Reviver brush and wipe off with a cheesecloth or other soft cloth, allowing the GLAZE to collect in grooves and recesses. ENHANCE GLAZE acts as a sealer for your projects and adds a slight level of shine. It is important to remove any excess GLAZE before it begins to dry, as the rubbing may pull off the paint. Basically, the GLAZE will reactivate the paint. If, after you glaze, you would like the glaze to look darker or you want more glaze in a particular area, let your first coat dry thoroughly. If you glaze again while the glaze is still tacky, you will pull it all off when you use your rag. The PROTECT product is a specially formulated, commercial grade, non-yellowing satin polyacrylic. Because the finish of PROTECT is slightly different than the finish of COLOUR, apply in straight lines as best as possible. Apply with the Reviver brush or other quality paint brush. You only need to use PROTECT if you have a high traffic piece – like a dining table, the tops of a nightstand, a bookcase shelf. Otherwise, COLOUR dries to a nice, hard surface. Be sure to apply generous amounts, as applying sparingly can cause streaking. If you feel you need extra-extra protection for your piece, apply more coats! Easy! You do not have to sand in-between coats like most poly’s, just let it dry and apply again. I hope that you see exactly how EASY Velvet Finishes is to use! Tell me, do you DIY your furniture? What are some of your go-to products that you swear by? 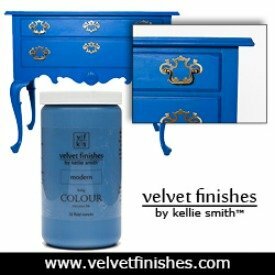 Subscribe to our YouTube channel so you never miss a Velvet Finishes tutorial! 🙂 We have more being created!